Only Action News was on the scene as U.S. Marshals and Chester police arrested 19-year-old Tyquan "Fats" Atkinson on the 800 block of Upland Street around 5:50 p.m. Wednesday. Atkinson led police on a brief foot chase, but they found him hiding on the rooftop of the Upland shopping center. Authorities led the suspect across the ladder of a fire truck to get him off the store roof and they took him into custody. Only Action News was there as authorities captured the suspect in the fatal shooting of Philadelphia police inspector's son on April 3, 2019. Atkinson has been arraigned on six charges including murder and criminal conspiracy. He was not granted bail. Atkinson was being sought for the killing of 20-year-old Nicholas Flacco at FDR Park in the 1900 block of Pattison Avenue late Saturday night. Flacco is the son of Chris Flacco, the head of the Philadelphia Police Department's Internal Affairs Unit. According to police, Nicholas Flacco was with a group gathered after tailgating at a Phillies game. Police said several fights between females broke out, and an unidentified woman was heard threatening to "call her man and that they should be afraid." A man with a revolver arrived, police said, and fired one shot into the air and another to the side. Authorities said the man left, but returned 10 or 15 minutes later and shot Flacco, who was home from college for the weekend to celebrate his birthday and planned on joining the United States Marine Corps in the fall. Police don't believe Atkinson knew Flacco, but said they both got caught up between a feud involving rival groups. "Basically you had a girl fight, which turned into a guy fight and then somebody thought it was a good idea to bring a gun into the situation and resolved the matter that way, which is always a bad idea," said Philadelphia Police Captain Jason Smith. Several rewards totaling $36,500 were being offered in the capture of a suspect. At an event Wednesday night, Police Commissioner Richard Ross expressed relief Atkinson was caught and said tips helped. "This is not magical. What helps us most is human intelligence - people picking up the phone to tell us what happened. In this case again, we're just deeply saddened by all the events that transpired," Ross said. The funeral for Nicholas Flacco is being held at St. Albert the Great Church in Huntingdon Valley, Montgomery County. 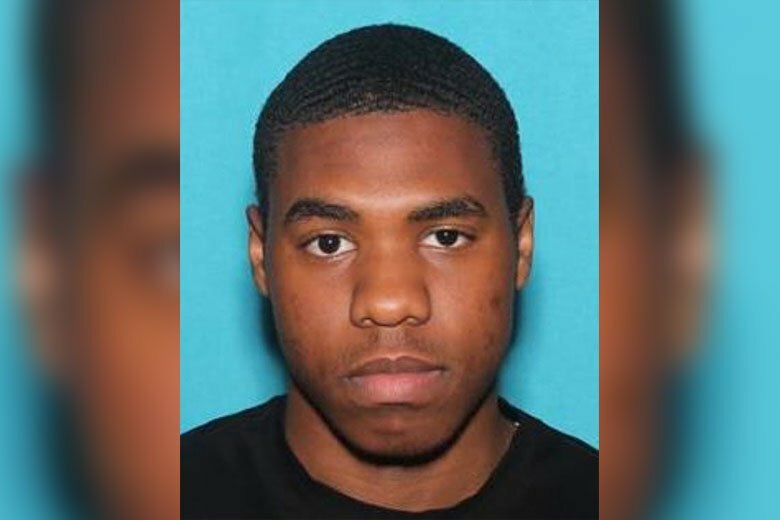 Investigators have arrested the suspect wanted for the murder of a Philadelphia police inspector's son as reported during Action News at 11 on April 3, 2019.